Choice dates for Summer 2019 are available. Why spend time at home when you can be with us at the beach on the Jersey Shore! All of our rooms are non-smoking. Smoking is allowed outside and ashtrays are provided. The Seaside Heights Business Improvement District has again awarded us their 2017 Quality Assurance "Gold Ribbon" rating. Read about the award in the sub section of our website. 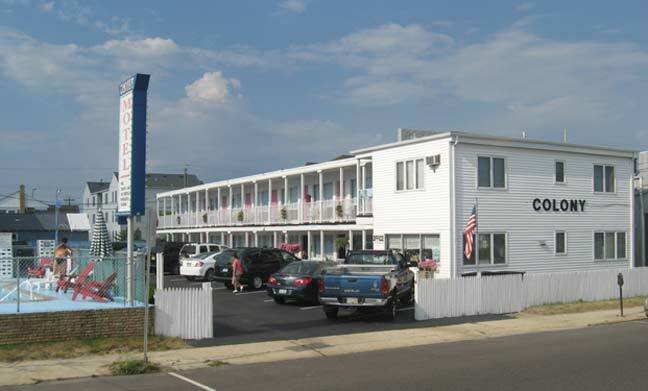 The Colony Motel is proud to be the only motel (of 38 motels)in Seaside Heights that is accredited by the Better Business Bureau of NJ. Where do you want to stay? Located in beautiful Seaside Heights at the New Jersey Shore. We are located at the north end of town only a 1/2 block from the Beach and Boardwalk. 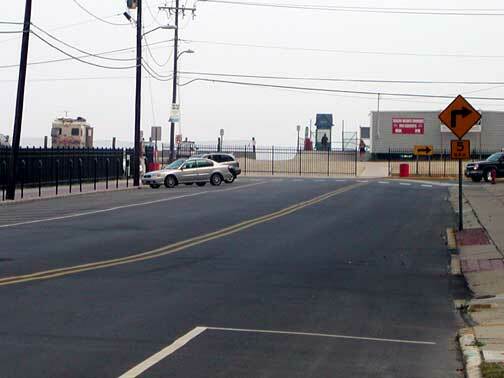 The "Hiering Ave. Beach Entrance" as seen from the Colony Motel. We're close to the beach but away from the noisy center of town. We are the perfect place for families. Play on the beach all day. Spend the evening exploring the famous Boardwalk. When the day is complete come back for a quiet nights sleep in one of our clean and comfortable rooms. 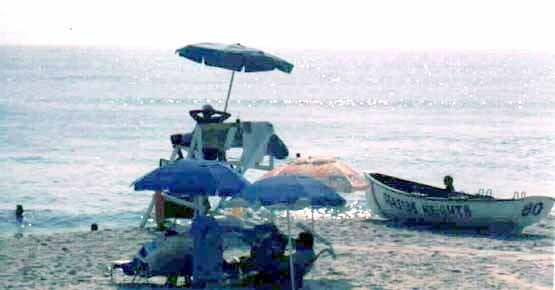 Seaside Heights is one of the most visited summer resorts in New Jersey. The town is centered on the New Jersey shoreline and is only a hop, skip and jump from New York City and Philadelphia. When you think of FUN in New Jersey, you are thinking about the sights and sounds of our Boardwalk in Seaside Heights. The Arcades, Rides, Water Park, and Beach are exciting for the entire family. 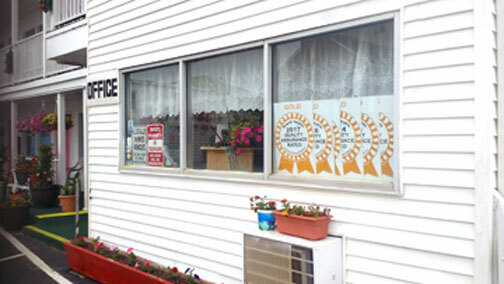 While there are many motels in Seaside Heights, we want you to know about the quality accommodations offered at the Colony Motel. Find out why we have so many repeat customers year after year. They come back for our quiet location and family atmosphere. We look forward to seeing you soon at the Colony Motel. Air Conditioning - Color TV (Basic Cable TV with over 60 Channels) - Refrigerator - Microwave Oven - Wall to Wall Carpeting - Lavatory with Tub and/or Shower - Clean Rooms and Comfortable Beds - Daily Maid Service - All room linens are laundered on-site to guarantee freshness and cleanliness. We strive to be your lodging choice in Seaside Heights. 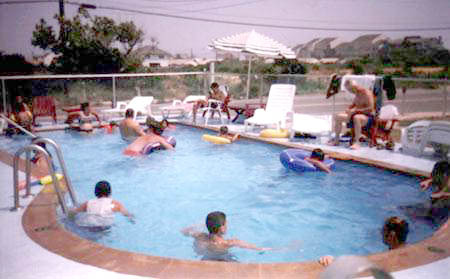 If you have stayed with us in the past, you know about our "famous" hospitality. Nice location, clean rooms and friendly service. Give "Sunny" a call to set up a stay with us (between 8am - 10pm, please). 732-830-2113. Come spend some time with us at the Colony Motel in FUNtastic Seaside Heights. Our neighbor, CVS Drugs, is right across the street. Their products and the available "drive thru" Pharmacy has proven to be a huge convenience to our guests. Click the NJ Transit logo above for NJ Transit Bus Info: Seaside Heights from New York City during the summer, then lookup Route 137 or 319 for schedule details. Click the logo above for the Casino Pier Amusement Park homepage.